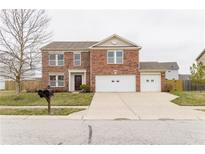 Below you can view all the homes for sale in the Branches subdivision located in Brownsburg Indiana. Listings in Branches are updated daily from data we receive from the Indianapolis multiple listing service. To learn more about any of these homes or to receive custom notifications when a new property is listed for sale in Branches, give us a call at 480-577-2304. Community club house with pool and kids' playground. MLS#21631459. WKRP Indy Real Estate. Home sweet home is waiting for you! MLS#21630120. CENTURY 21 Scheetz. The subject features a two Car attached garage, with three bedrooms and two and half bathrooms, New flooring has been installed in kitchen the first floor. Seller motivated MLS#21615787. 1st Class Realty. Easy access to Ronald Reagan Pkwy or I-74, I-65. 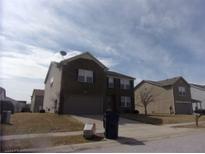 MLS#21615454. The Indy Realty Shop. Photos shown may be an artist rendering, model home, or similar model. MLS#21612568. Berkshire Hathaway Home. The property is situated on a large bend in the road giving you lots of extra yard space. MLS#21599551. The Whitaker Group, L.L.C..